Mandsaur: Congress President Rahul Gandhi on Wednesday launched his party’s campaign for the general election to the Madhya Pradesh Assembly due in November this year by promising to waive off all farm loans within ten days of coming power in the State. 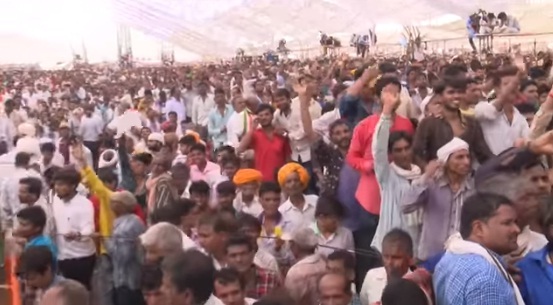 Gandhi was addressing a huge rally to mark the first anniversary of the death of six farmers in police firing. The Congress President also announced that action will be taken against those involved in police firing. Last year, the farmers protest in support of their demands, including remunerative support price for their produce, had turned violent and on June 6 2017, six farmers were killed in police firing at Pipalya mandi near Mandsaur.